Decent condition, some marks of use. Soft cover. 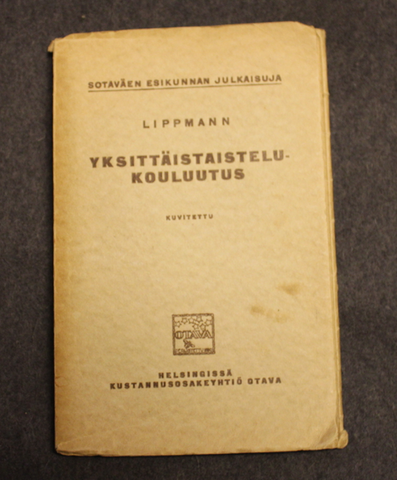 Extremely rare 1920´s manual, all information is based on the experience and training of the JR27, the book was published by the just formed general HQ of army. The book consists best battle proofed instructions for a soldier. The real treasure of the book is the complete set of 87 pictures, soldiers in pictures have M/22 and some civil war era items, ( and some german WW1 ), good material for re-enactment. Collar tabs, General Headquarters, finnish.